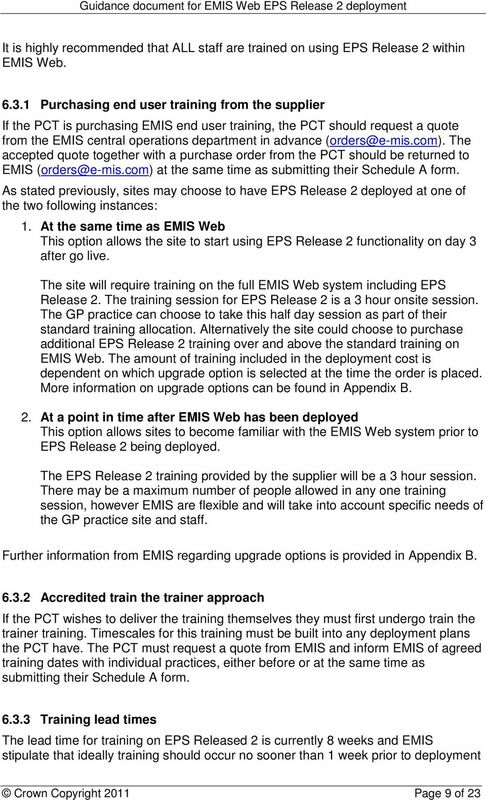 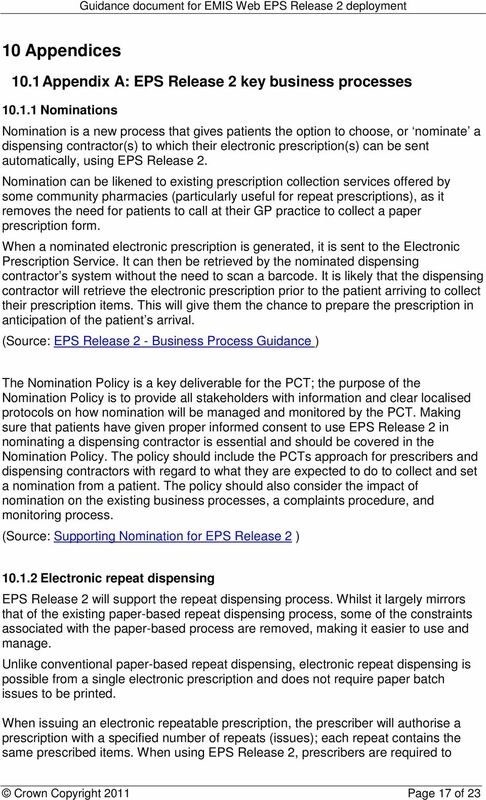 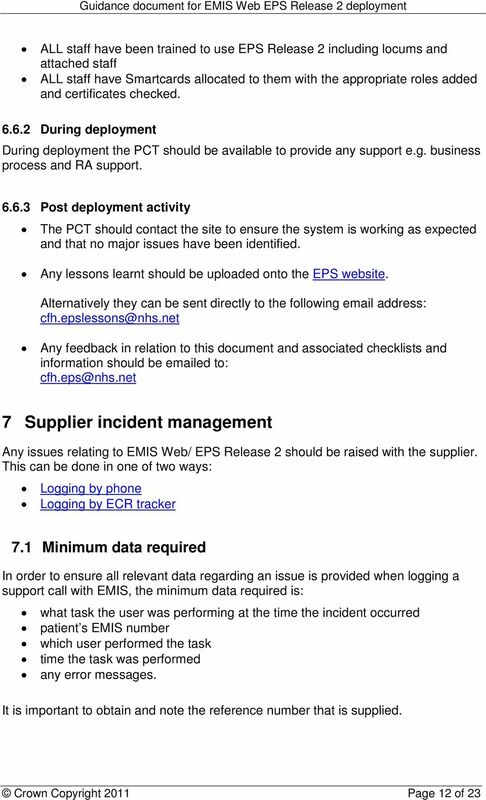 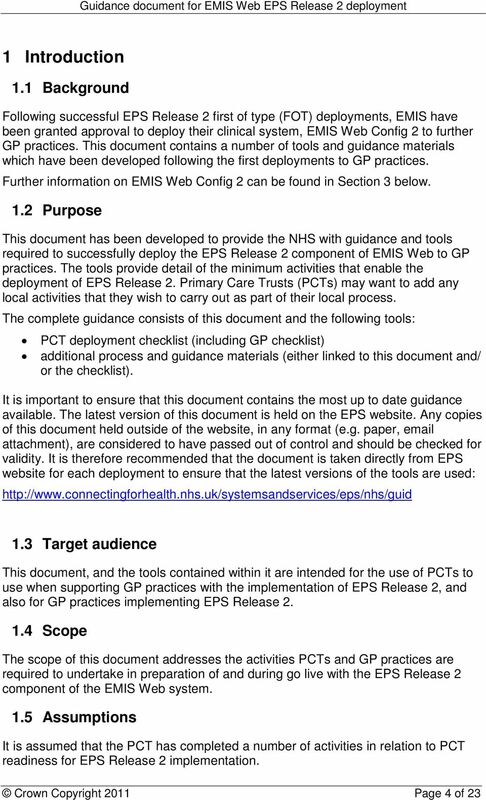 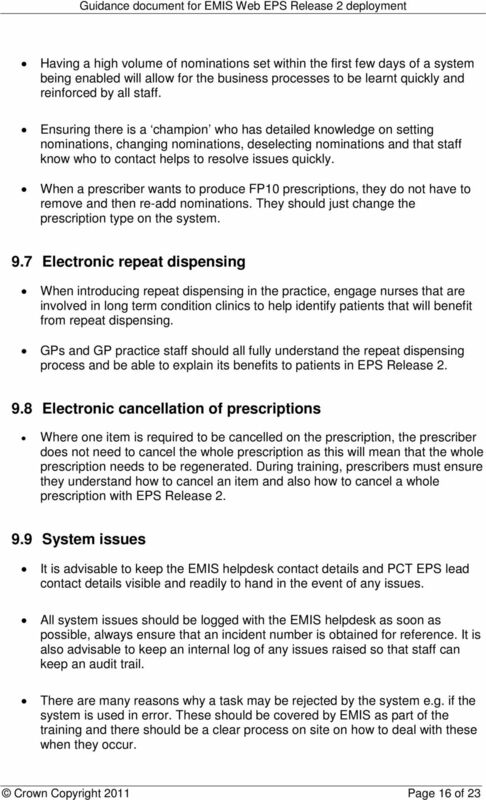 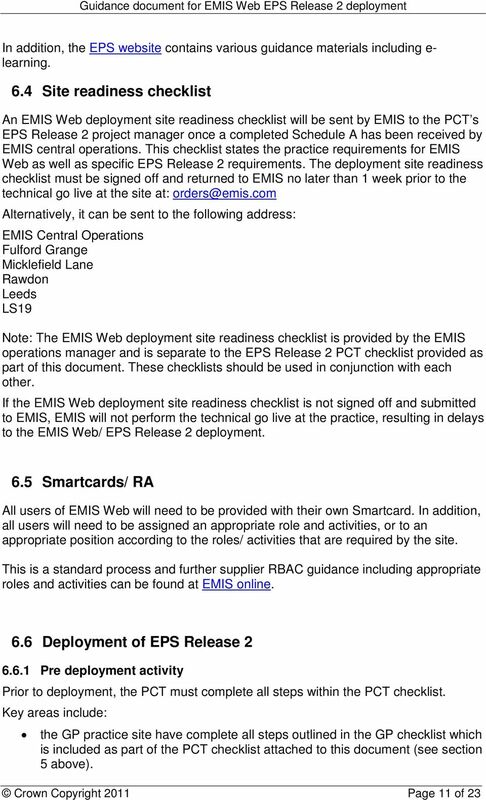 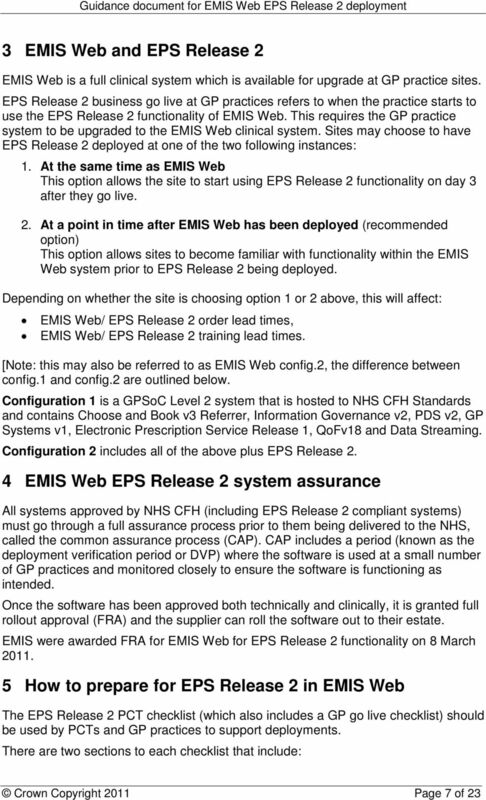 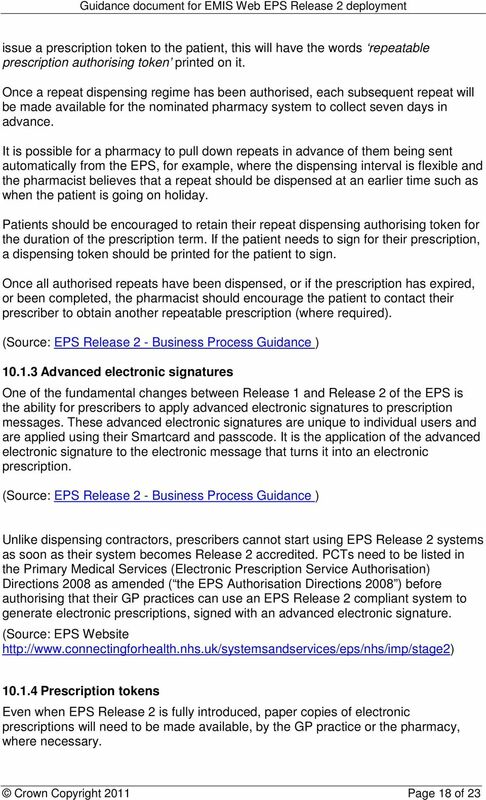 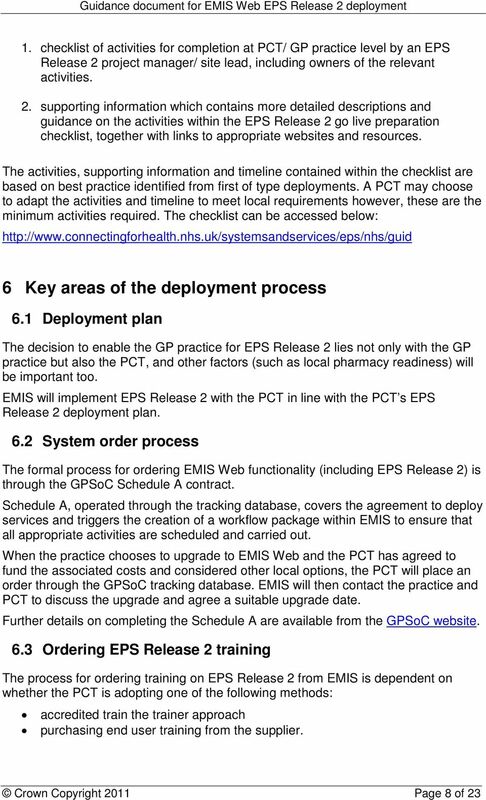 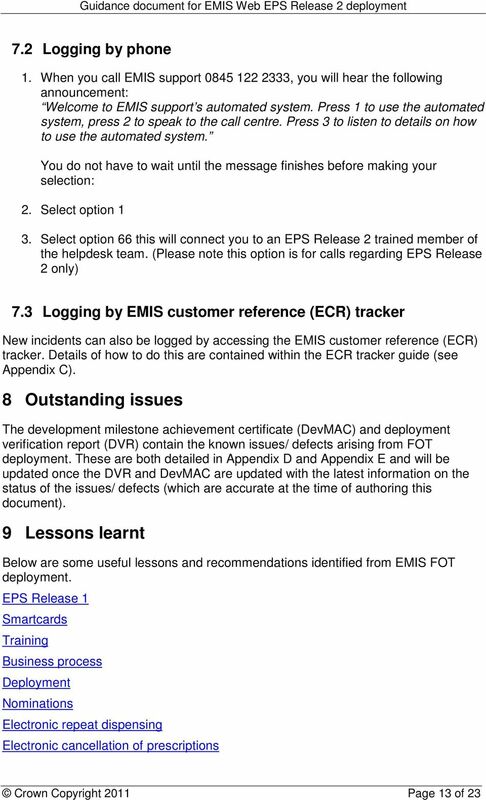 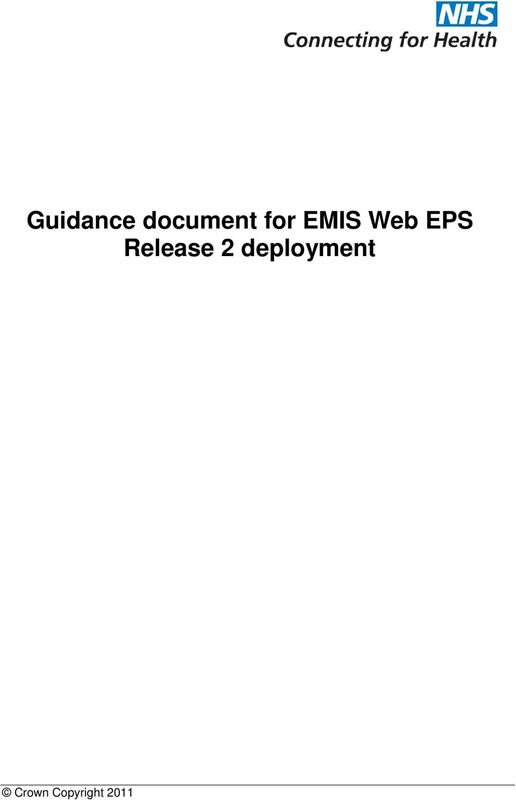 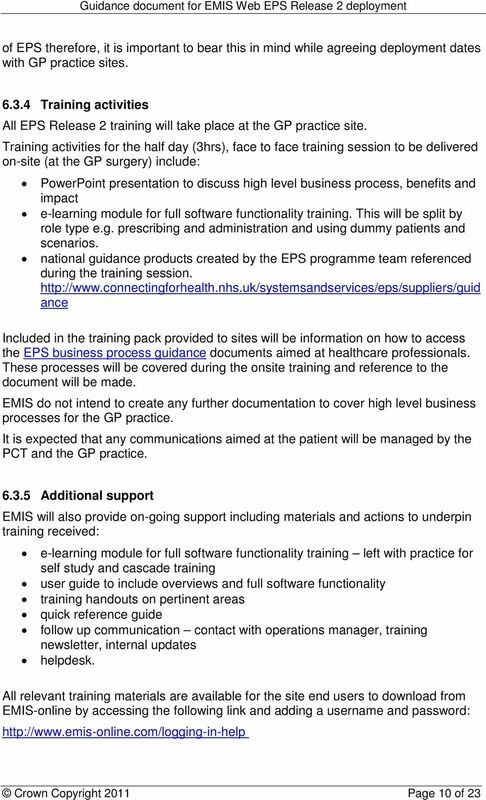 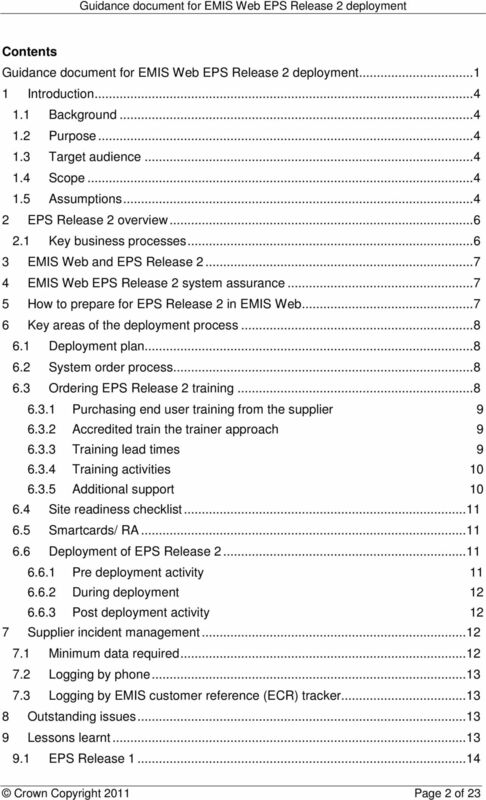 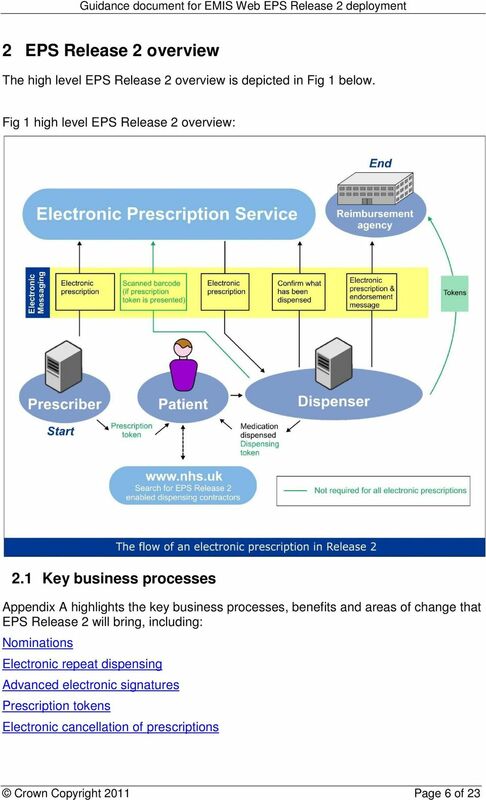 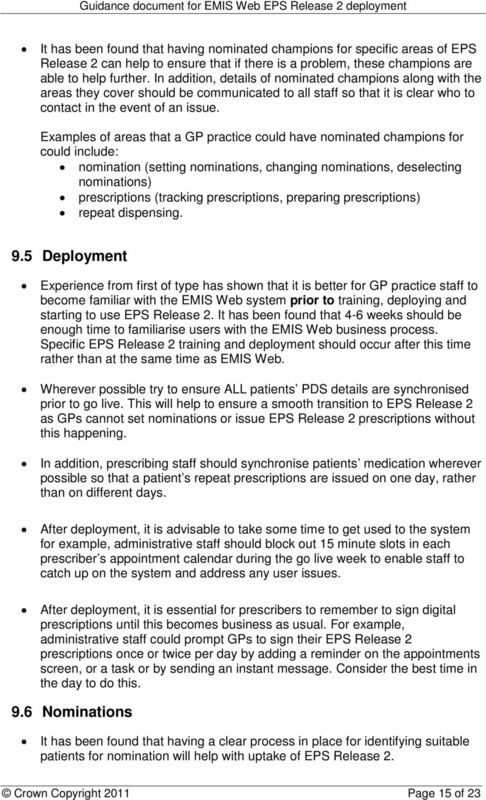 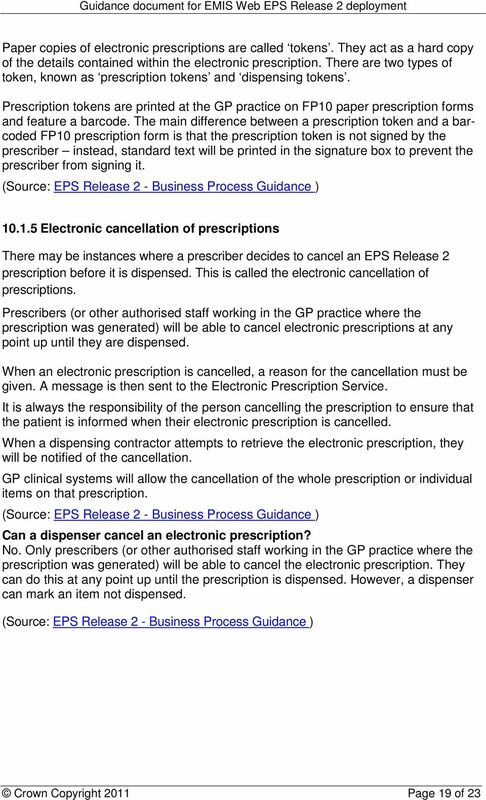 Download "Guidance document for EMIS Web EPS Release 2 deployment"
Preparing for EPS in your GP practice and pharmacy Business Process Change Workshop Introduction To maximise the benefits of EPS Release 2, pharmacies and GP practices need to adapt existing business processes. 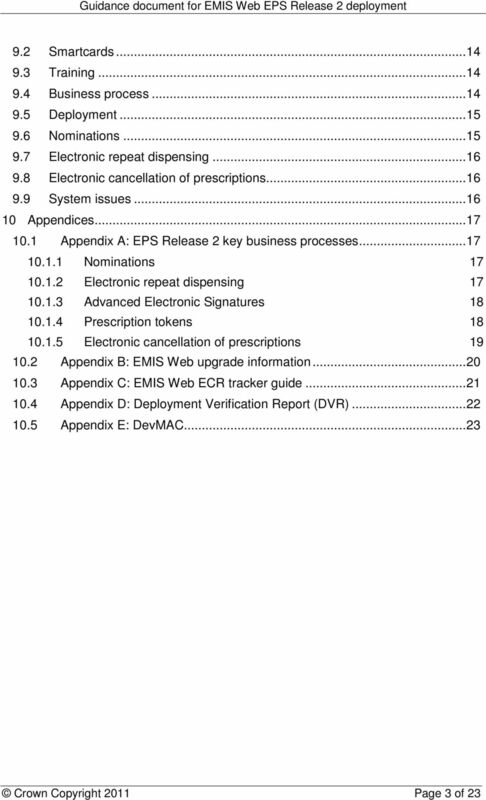 The Use of Electronic signatures for Prescribing Chemotherapy and data entries on the Aria MedOncology system V3.0 January 2013 Table of Contents 1. 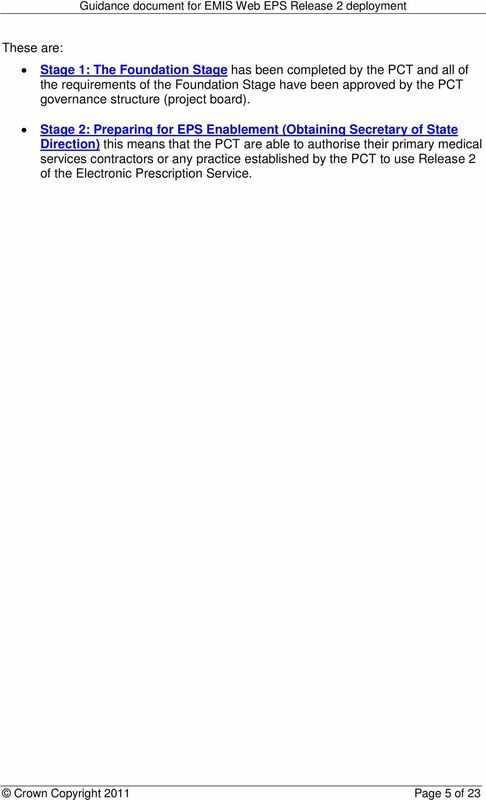 Introduction... 3 2. 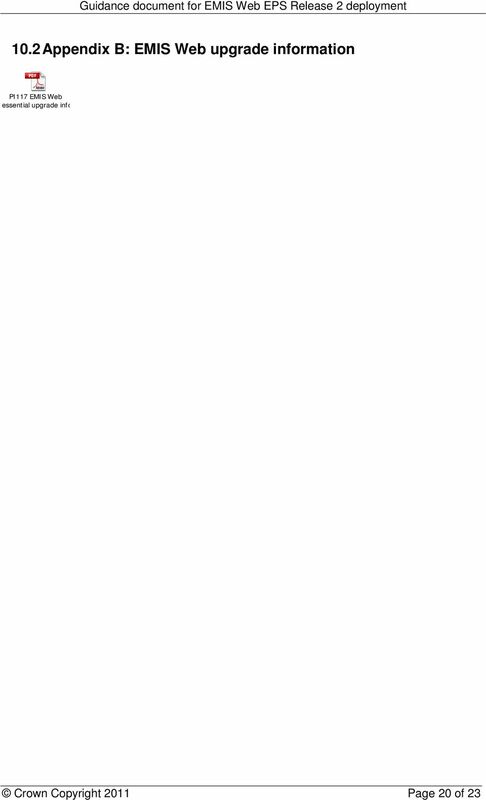 Purpose of this Policy... 3 3. 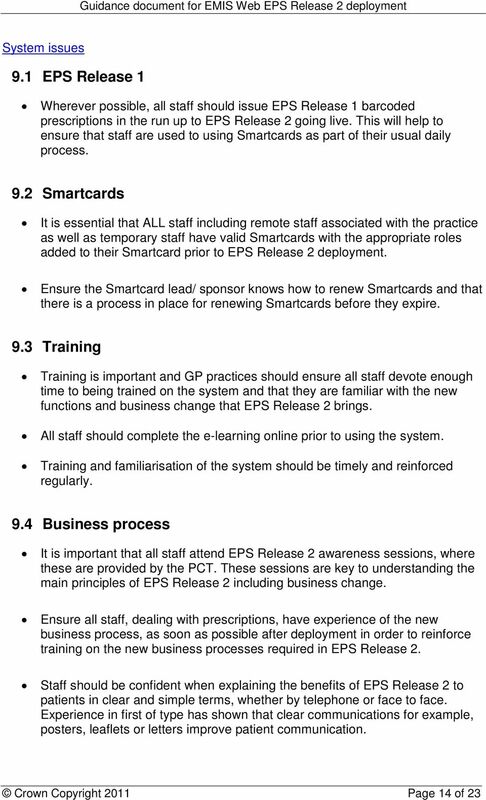 The Cabinet Committee on Performance Improvement is asked to review and comment on the report.